We are now recruiting for our 2019 season for Saturday work in the following locations: Nottingham plus Brighton, Bournemouth, Bristol and Manchester. Looking for an exciting role in which your personality can really shine, a chance to earn money while having a great time with clients on their Hen, Stag or Corporate Event. Checking people are climbing the slippery slope correctly or making sure they have the giant costume on right before they run over the moving carpets. These are just a few examples of the great tasks involved in a day’s work as Event staff. Of course, there is the serious side of health and safety and setting everything up and taking everything down, but everyone has to do a bit of hard work. If you are looking for a fun and active job, with a great team and are proactive, punctual, hardworking, not afraid to get your hands dirty and make sure everyone is having a great time safely, then we have the perfect role for you! Our event crew are a massive part of who we are and what we do. 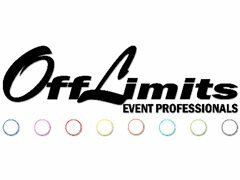 They represent us out in the field and help us to deliver outstanding events time after time. We are now recruiting for our 2019 season for Saturday work in the following locations: Nottingham plus Brighton, Bournemouth, Bristol and Manchester. We are looking for energetic, outgoing and friendly individuals to come aboard and join our incredible team of freelance event staff. If your Monday to Friday job is sat behind a desk or you spend so much time studying - this may just be the perfect opportunity to add some variety to your week and get paid for it. It can be physically hard work and we expect our crew to be reliable, punctual and well organised. In return, you will discover a rewarding and highly sociable role where fun, laughter and team spirit are at the top of our agenda. Full training will be given, and we provide mentoring and support to those individuals who would like it. Our rates of pay range from £70 per day minimum, dependent on skill set and experience, this can equate to £10.00 plus per hour.